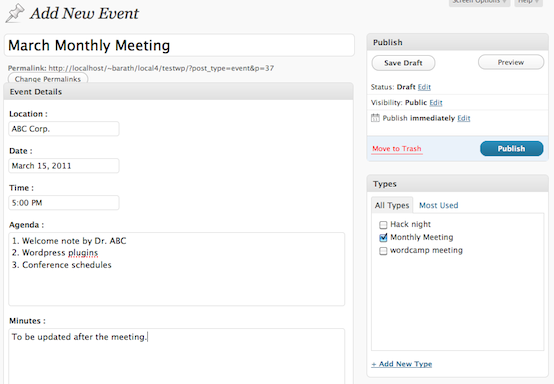 Super events WordPress plugin does two major things. 1. Creates an event type, as a custom post type. There is also a type taxonomy associated with the event post type. This will help you categorize events by type. 2. Creates a sidebar widget which will help users RSVP to events. Created using WordPress 3.0 hooks, this widget provides a clean ajaxified RSVP system.